Memory Foods: What Helps Reduce Risk of Memory Loss? What Helps Prevent Memory Loss? Memory foods are an issue that concerns many people as they age and their memory comes more into focus. Should you consume more or less calories as you age? Are their certain foods that we should avoid. Recent research on the topic of nutrition, food and memory was presented at the American Academy of Neurology's 64th Annual Meeting in New Orleans April 21 to April 28, 2012. Mild Cognitive Impairment (MCI) is the stage between normal memory loss that comes with aging and early Alzheimer's disease. The researchers reported, "We observed a dose-response pattern which simply means; the higher the amount of calories consumed each day, the higher the risk of MCI," said research director Yonas E. Geda, MD, MSc, with the Mayo Clinic in Scottsdale, Arizona and a member of the American Academy of Neurology. The research involved 1,233 subjects between the ages of 70 and 89 who were free of dementia residing in Olmsted County, Minn. Of those, 163 had MCI. Participants reported the amount of calories they ate or drank in a food survey and were divided into three equal groups based on their daily caloric use. One-third of the participants consumed between 600 and 1,526 calories per day, one-third between 1,526 and 2,143 and one-third consumed between 2,143 and 6,000 calories per day. The probability of having MCI more than doubled for those in the greatest calorie-consuming group compared to those in the lowest calorie-consuming bracket. The results were identical after adjusting for history of stroke, diabetes, amount of education, and other variables that can affect risk of memory loss. There was no significant difference in risk for the middle group. "Cutting calories and eating foods that make up a healthy diet may be a simpler way to prevent memory loss as we age," said Geda. The co-authors of the study include Ronald C. Petersen, MD, Fellow of the American Academy of Neurology, and other researchers with the Mayo Clinic Study of Aging in Minnesota. New research suggests that consuming between 2,100 and 6,000 calories per day may double the risk of memory loss, or mild cognitive impairment (MCI), among people age 70 or greater. 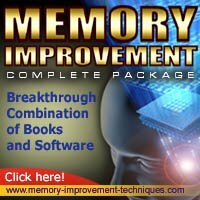 It is not known what the effects is on memory in other age groups. You can learn more about Alzheimer's disease and its effects by visiting other pages on our site. The study was supported by the National Institutes of Health, the Robert Wood Johnson Foundation and the Robert H. and Clarice Smith and Abigail van Buren Alzheimer's Disease Research Program.